By Jim Campbell, Citizen Journalist. EMILY’s List, whose name is an acronym (Earn Money Like Yeast), is a national political action committee that works to elect pro-choice female Democrats. The group has turned the bundling of campaign contributions into an art form, enlisting thousands of members nationwide to direct their money to keyraces. If truth in advertising were demanded while coming up with an acronym then Emily’s List might have gone with Mold’s List. (More Old Leftist Democrats) , as that is who they have become. For all their claims and self-promotion their financial contributions in totality are virtually nil. When spread among hundreds of candidates the $1,366.983 they have raised for the 2012 primaries and elections will not go far. This group of community organizers is celebrating its twenty-seventh anniversary this year taking credit for helping elect sixteen progressive women to the U.S. Senate, among them Dianne Feinstein and Barbara Boxer. How odd that they call Republican women radical when not one among them is smart enough to view murder of the unborn through abortion a far more radical act. For the most part the represent an organization filled with single issue voters and mostly followers like their chosen savior in CA, Dianne Feinstein who has constantly denied the right of life to the unborn. The elections of 2012 will representation a repudiation of progressive/socialist policies that Feinstein has continually foisted upon California and the entire nation. Her job killing, business destroying lack of understanding economics and taxation have led her to continue to spew her tax and spend ideas and legislation that continue to drive businesses and jobs not just from the state but overseas as well. Feinstein’s continued attempt to shred the Second Amendment along with being an undying fan of wealth distribution unless it’s not her own signal one thing. It’s time for her to be voted out on November 6th. EMILY’s List members believe that the power of women as candidates, as contributors, as campaign professionals, and as voters can bring about great change in our country. With this statement they are correct, problematically the changes they have brought about have left our country economically bankrupt and incapable of maintaining super power status which ultimately prevents the U.S. from being the major contributor to famine and strife the world over. 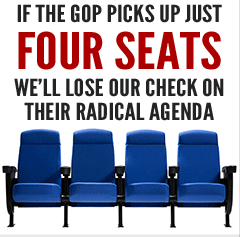 This year as part of their Senate Protection Project they are involved in a number of races. They understand for them, none is more important to their cause than Dianne Feinstein’s election. Oddly Emily’s list mentions among Feinstein’s accomplishments that she once saved a guest’s life at a dinner using the Heimlich maneuver when he was choking on a piece of meat. Perhaps the gentleman might have been choking while looking at is declining net worth and increased taxes he was paying? Call it a delayed reaction. Elizabeth Emken represents a bright new future for California and the U.S. with her background in economics……she will turn the country away from the abyss. Elizabeth served in management, financial analysis, and corporate operations at IBM. As an efficiency and cost cutting expert, Elizabeth utilized activity-based cost analyses to identify administrative savings across IBM U.S. – helping streamline operations, eliminate waste, and save the company millions of dollars. 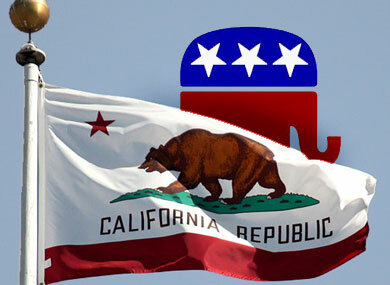 Candidate Emken is endorsed by the National Tax Limitation Committee and the California Republican Party. Elizabeth graduated from UCLA in 1984 with degrees in Economics and Political Science. Her studies included course work at Cambridge University, where she focused on political and economic issues in China and the Middle East. She understands America and American values having worked in the private sector raised a family, and running the national organization, Autism Speaks. Sean Hannity has joined Team Emken! CA state and local pension funds face insolvency will Senator Feinstein intervene? Calling Dianne Feinstein why did you leak classified information on drone strikes? Can Dianne Feinstein ever get it right? Cooking the books or just picking the numbers to suit the cause? Could Dianne Feinstein Lose Her U.S. Senate Seat in 2012? Diane Feinstein the 79 year-old U.S. Senator from CA has developed a set of "noias"
Dianne Feinstein Defends Obama On Gay Marriage: 'What's Wrong With People Being Happy? Dianne Feinstein just said what? A U.S. attack on Iran unlikely: Why not tell the world senator? 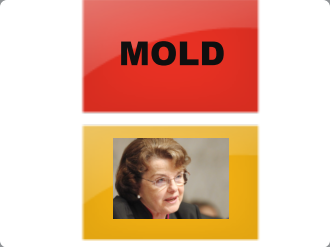 Dianne Feinstein Loves ObamaCare Elizabeth Emken plans to dismantle it. Dianne Feinstein on how to cure economic ills. Dianne Feinstein targets press freedom: Long time prime defender of the "Surveillence State"
Dianne Feinstein’s policies drove California into a bankrupt state: Will your state be next? Elizabeth Emken (R) for U.S. Senate or incumbent Feinstein? Elizabeth Emken to Senator Feinstein: Drop Fast & Furious "gun controll agenda." Feinstein is risking our Point Reyes heritage: What's in it for Dianne? Feinstein tells PTA to stop attacks on Governor Brown? Feinstein's ethical problems have become legendary: What does the city do? It names a street for her. From Dianne Feinstein's Website: A list of her accomplishments? If Feinstein is incapable of managing her own finances why should California voters thust her to finance theirs? Is Diane Feinstein is controlled environmentalists? Is Diane Feinstein the only member of congress that believes this guy? Is Dianne Feinstein a bigger prevaricator that Obama? liberal establishment that has our state and our country headed in the wrong direction. or supporting legislation that is completely against constituents desires? Proof she's up for election in November Feinstein's letter to California Fish and Game on Drakes Bay Oyster Co.
s there any end to Diane Feinstein’s disingenuousness? Senator Feinstein adds more burdsome government regulation: Could she be more out of touch with her constituents? the chicken or the bill? What's up Dianne why are you really afraid to debate your challenger Elizabeth Emken? When a picture is worth a million words. Who does Dianne Feinstein think she is Nancy Pelosi? Who is Senator Diane Feinstein and the 2012 Elections Near? With absolutely no clue how to create new jobs and wealth Feinstein wants your vote.